Kids love the freedom and joy of bike riding. Riding with kids and teaching them safety starts a good habit that sets them up for life. Children under the age of 16 are allowed to ride on footpaths, and in NSW an adult can legally ride on any footpath when accompanying a child aged under 16. Here are some tips to take you through the stages. Is your child old enough to sit upright unattended and hold their head up while wearing a helmet? Speak to your local bike shop about a bike seat or trailer. Read more about carrying children on bikes from our friends at Bikewise. The best way to teach a child to ride is to start with a balance bike; a bike with no pedals. We offer Balance Bike Clinics for 3-8 year olds at the Sydney Park Cycling Centre every Saturday from 11am. Helmets and balance bikes are provided free for kids taking part. No need to book. Why not join the fun? Riding with your children is a great way to spend time as a family, and encourage time away from computer and TV screens. Ride to your favourite cafe or hit up the local park – kids love modelling mum and dad’s behaviour, so the best way to teach great riding skills is to show them how it’s done. If you’re feeling a bit rusty on the basics, register for one of our Cycling in the City courses? Running most weekends, our experienced instructors will be able to give you tips and tricks for riding with your children. 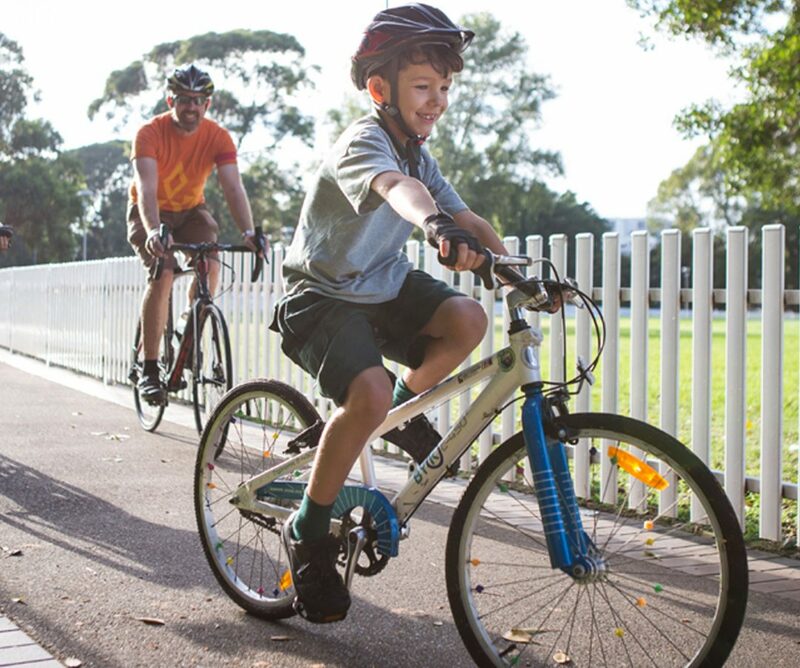 Sydney has lots of great riding routes – for families of all ages and abilities. Take in the sights and explore Sydney by bike on an inner city adventure. 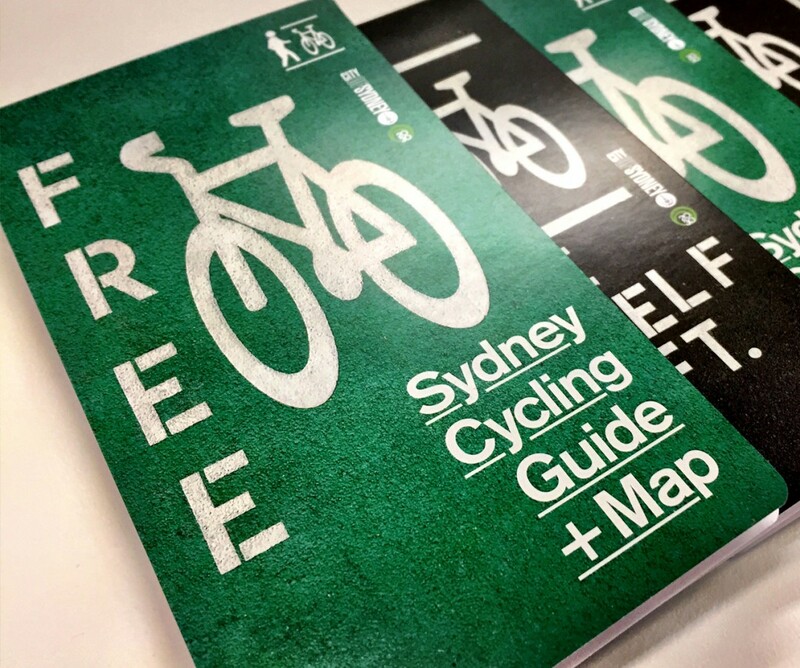 Find the full list of Sydney Rides here. Most children live within two kilometres of their school gate, yet only 20 per cent of children ride bikes or walk to school, compared with 80 per cent of children 30 years ago. Studies have shown that children who ride to school arrive alert and ready for a day of learning. Besides the health benefits, more families riding to school frees up traffic congestion around our schools. Use the Ride to School Toolkit for useful tips and case studies.